"Without the population or the bomb problem the elect would use some other excuse to bring about things like earthquakes, war, the Messiah, an extra-terrestrial landing, and economic collapse. They might bring about all of these things just to make ....sure that it does work. They will do whatever is necessary to succeed. The Illuminati has all the bases covered." Milton W. Cooper, Behold A Pale Horse,(Flagstaff, AZ: Light Technology Publishing, 1991)177. "A well regulated militia, being necessary to the security of a free state, the right of the people to keep and bear arms, shall not be infringed upon." Second Amendment to the Constitution of the United States of America. Why shall these rights not be infringed upon? In 1929, the Soviet Union established gun control. From 1929 to 1953 about 20 million dissidents, unable to defend themselves, were rounded up and exterminated. In 1911, Turkey established gun control. From 1915 to 1917, 1.5 million Armenians, unable to defend themselves, were rounded up and exterminated. Germany established gun control in 1938 and from 1939 to 1945, a total of 13 million Jews and others who were unable to defend themselves were rounded up and exterminated. China established gun control in 1935. From 1948 to 1952, 20 million political dissidents, unable to defend themselves, were rounded up and exterminated. Guatemala established gun control in 1964. From 1964 to 1981, 100,000 Mayan Indians, unable to defend themselves, were rounded up and exterminated. Uganda established gun control in 1970. From 1971 to 1979, 300,000 Christians, unable to defend themselves, were rounded up and exterminated. Cambodia established gun control in 1956. From 1975 to 1977, one million educated people, unable to defend themselves, were rounded up and exterminated. Defenseless people rounded up and exterminated in the 20th Century because of gun control: 56 million. You won't see this data on the US evening news, or hear politicians disseminating this information. Guns in the hands of honest citizens save lives, property and, yes, gun-control laws adversely affect only the law-abiding citizens. Take note my fellow Americans, before it's too late! The next time someone talks in favor of gun control, please remind them of this history lesson. During WWII the Japanese decided not to invade America because they knew most Americans were ARMED! The purpose of fighting is to win. There is no possible victory in defense. The sword is more important than the shield, and skill is more important than either. The final weapon is the brain. Use it to study history. Learn from it not to repeat the same mistakes millions have made before giving up their right to self-defense in return for government promises of protection. Don't let our government waste millions of our tax dollars on gun registration and gun confiscation in an effort to make all law abiding citizens an easy target. Without them, we are 'subjects'. thechristianobserver.blogspot.comThis blog is not affiliated with www.christianobserver.org. This past summer the United States introduced its "cash for clunkers" program in an attempt to rejuvenate the failing auto sector. Originally slated to cost US taxpayers $1 billion, the program soon ballooned to $3 billion in payouts and administrative costs. The idea was simple; bring in your older vehicle and receive a cash injection towards the purchase of a new automobile. But its not all roses in this socialist auto-utopia. Following the end of the program, car sales in the US crashed by 27% in September(reported by AFP), and buyer's remorse is now setting in as new car owners are faced with making payments during an economic downturn. Remember, the "clunkers" may have been older vehicles, but they were paid for. But it's not only car buyers who will have to make payments. Just like other government handouts, the actual cost will be carried forward and remain on the books for years to come - another burden to the nations taxpayer. ...assuming the Cash for Clunkers program was financed by 30-year Treasury bonds, the related interest will cost U.S. taxpayers a total of about US $150 million annually. And those payments will continue until the principle has been paid back, which may never happen - ever. However, all of this is chump-change compared to the "Cash for Climate" program, as governments around the world pour astronomical amounts of money into combating climate change - "hot air". Consider just one country: the United States of America. In a document released this summer, the Science & Public Policy Institute reported that: "That US government has spent over $79 billion since 1989 on policies relating to climate change..."
in total, over the last 20 years, by the end of fiscal year 2009, the US government will have poured in $32 billion for climate research - and another $36 billion for development of climate-related technologies. These are actual dollars, obtained from government reports, and not adjusted for inflation. It does not include funding from other governments on the global industry(2). Joanne Nova, the author of the SPPI report, notes a very disturbing reality. But there's another side to this cash-for-climate story. In the fall of 2007, I had the chance to attend a Manitoba government-sponsored workshop on climate change and agriculture. It was an interesting one-day event: faulty science and lots of talk about farming practices made up the agenda. Let's say a factory in England produces 100,000 tons of CO2 a year, and the company has been told it must lower its carbon dioxide emissions to a certain level or "cap," as required by international climate laws. "Clean up or shut down!" demands the environmental bureaucrat, "You're pumping too much carbon into the air" (Never mind that plants need carbon dioxide, CO2, to live - a slightly inconvenient truth). Meanwhile, projects that offset carbon dioxide are calculated as to how much CO2 they collect, or how much the project will "offset" such as in the case of a wind farm verses a coal-fired utility company. Carbon-friendly projects could include zero-till agricultural practices, reforestation, or alternative energy utilities. Then after these projects are calculated in terms of CO2 savings, these "carbon credits" are driven through a brokerage and trade exchange. The factory in England can now enter the market and purchase the necessary carbon credits to offset the 100,000 tons it emits. What did the factory get? The ability to satisfy the climate regulators - now a "carbon friendly" company. Did the factory do anything to physically slow down or stop emitting CO2? Probably not: It just paid for the right to continue emitting. The farmer or forester made a small dollar, and in the process may have tied their hands with new property-use restrictions. The brokers and investment firms, however, made big money in fees and by bundling contracts and playing the market. Again, the above illustration is simplistic as this carbon-trading regime had many more twists and turns. But money changed hands, the law was satisfied, and the bubble economy in hot air expanded. Imagine that: You can save the planet and make a buck doing it! It's an amazing concept: a government dictated marketplace in CO2 contracts. There's more! Beyond creating a trading system in case-by-case CO2 contracts, there is a distinct possibility that a new carbon based monetary unit - an international climate reserve currency - will emerge along with the carbon economy. Don't discount this idea. At present, the US dollar is the keystone unit for global energy trades, particularly in petroleum: a position it has held for decades. But many in the Asian and European financial community are looking to replace the US dollar as the global reserve currency with different medium of exchange. (4) Could carbon credits become this new global currency; politically unattached to any singular nation? Two years later a report by the UK's Centre for Sustainable Energy suggested that individual citizens be granted a CO2-credit account "based on a carbon credit debited whenever carbon is consumed. "(6) Hint: Every conceivable economic action requires energy and is therefore susceptible to a "carbon debit." Who do you think the real money-makers will be in this kind of scheme? Finally, Sindicatum Carbon Capital, a large UK-based investment group, is calling carbon credits for what they are: A "new global green currency." No wonder Al Gore, who's the founder of Generation Investment Management - a funding group that invests in the carbon market - is the most vocal "global warming" alarmist on the planet. Gore isn't an environmental scientist nor is he a climatologist; he's a salesman - a political lobbyist with a major economic stake in the upcoming trillion-dollar carbon market." He's a rich man who's set to become much richer, buying and selling "hot air." Between cap-and-trade carbon markets and the fast approaching carbon tax that's set to impact your wallet, in whatever country you live, you can rest assured that all of this will be sold to us in the name of saving the environment while rebuilding the global economy. As this new international climate change regime isn't far off. Indeed, now that the December 2009 Copenhagen climate change conference is over, complete with all its fiascoes, world leaders are moving forward to produce a global tax-and-trade agreement. Ironically, as the world is presently dealing with the problems associated with the aftermath of economic bubbles, we're being set up for what could be the biggest bubble yet. 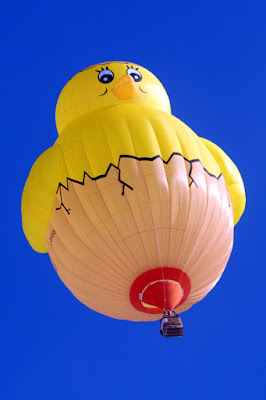 After all, the best way to inflate a balloon is with hot air. (1) Carl Teichrib, Cash for Climate: Clunkers Have Nothing on This, Hope For The World Update: Winter 2010, (Hope For The World, P.O. Box 899, Noblesville, Indiana, 46061), pp.16-18. (2)Science & Public Policy Institute Report , Joanne Nova, "Climate Money," 2009, p. 3 (Note: a copy of the SPPI document Climate Money can be found on the Science $ Public Policy Institute website (http://scienceandpublicpolicy.org). (5)Harvard International Review, "A new Currency: Climate Change and Carbon Credits," Summer 2004, p. 56. (6)Centre for Sustainable Energy Report, "A Rough Guide to Individual Carbon Trading," November 2006, p. 13. (7)Science & Public Policy Institute Report, 2009, p. 14. (8)Ibid. quoting Bart Chilton, p. 15. (9)Ibid. quoting Richard Sandor, p. 15. This blog is not affiliated with www.christianobserver.org. My greatest wealth is not physical or material; it cannot be touched, it is not seen, it knows no bounds but exists in the deep stillness and peace which comes from knowing God in which I strive and grow and exist; what the world cannot take from me with fire or sword; that still, small voice of the creator of the universe who beckons me onward to win the race that he has given me to fulfill.................................... The picture at the top of the blog is taken outside the state capital building in Harrisburg, Pennsylvania.